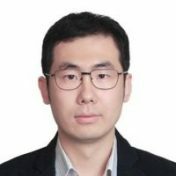 Shangchao Liu | Marga Inc.
Shangchao Liu is a social scientist specializing in economics and human development. At the Chinese Academy of Social Sciences, Shangchao constructed and maintained the database of Urban Competitiveness in China and has published several papers and reports on housing, urbanization and talent competitiveness in China. He has held internships at the Brookings Institution in the Metropolitan Policy Program and in the United Nations Development Program’s Human Development Report Office. Shangchao has a Doctor of Philosophy in Economics and Urbanization from the Chinese Academy of Social Sciences, a Master of Public Administration from the Columbia University School of International and Public Affairs, a Master of Letters in Finance and Management from the University of St. Andrews, and a Bachelor of Arts in International Business Management from the University of Nottingham.